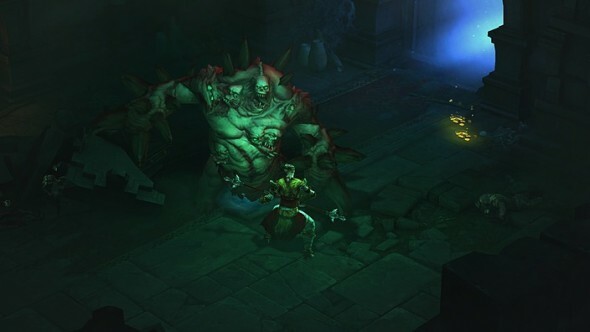 It’s been over a year since evil returned to (New) Tristram on the PC version of Diablo 3 and perhaps you were already able to keep the dark forces of Diablo at bay. Now it’s time for the console gamers to have their go at driving Diablo back to the depths of hell, hoping he’ll stay there for good this time. Then again, will the console version differ that much from the original PC version? You might want to ‘stay a while and listen’. An evil presence lurks over New Tristram, a town named after Tristram which also had its own issues with evil forces wreaking havoc. Survivor of the previous games, the Horadrim Deckard Cain tries to warn the citizens of the town. Yet he is easily brushed aside as a believer in stories and legends. Until the day comes that an angel crashes down from the sky and with him an entourage of evil minions appear. Of course the townspeople are no match to keep these monsters at bay and thus you, a Nephalem, appears to fulfill your destiny. You are one, that posses the powers to battle light or dark and protect the people of this already rotten and corrupted world. 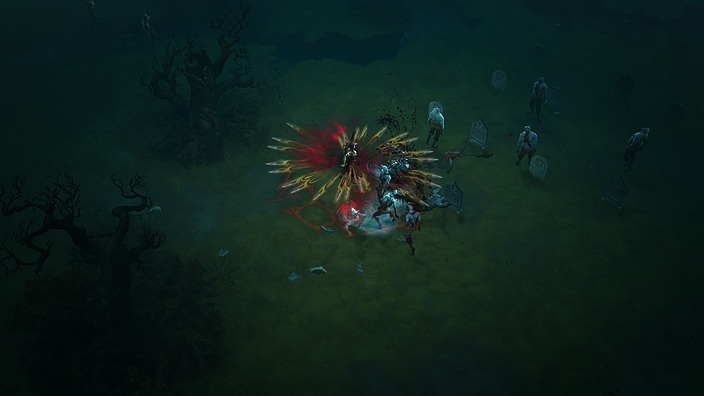 Even though Diablo doesn’t truly show his face at the beginning of the game, it’s clear his minions are trying to resurrect the worst of the prime evils. With nearly every step you take during the playthrough it will become clear that you might be fighting a battle that might never be won. Whilst the story is a simple matter of becoming the hero of the people by vanquishing evil everywhere you go, the story is brought to you in a great fashion. You will be presented to great story cutscenes between each of the 4 acts and after key quests you will be able to see special scenes that are different for each character. Even for a ‘port’ of a one year old game the game still looks as crisp as ever. Everything runs smooth on your console and you’ll love to watch all the cinematics on your big screen. There is not that much more that can be said except for the fact that it’s clear that the game tries to squeeze nearly everything out of your gaming console. The game creates a dark mood and present you with a look that matches it. Even those who believe in righteousness in the game seem to be influenced by the darkness of the world and this may even create a more realistic feel in a very unrealistic game. Frames seem to drop when playing with four players though. Whilst it’s not that hard, it is noticeable. A game with a dark setting will need the right soundtrack to set the right mood. Another thing Blizzard delivers in this port. The music sets the tone and will keep doing so during your entire playthrough. Music wise the game just tells you the story of a world that needs saving before anything else. The voice acting in Diablo 3 is top notch and does not disappoint at any given time. You’ll hope for the fact your character will have the right charisma. Luckily Blizzard does not fail to deliver. In essence the gameplay of the console version of Diablo 3 stays true to its predecessor on PC. You’ll still run around trying to defeat the monsters around you with the array of quests you’ll be able to learn when leveling up. When those are not always up to the task it will be your job to find the gear your champion will need to complete his journey of defeating the evil that haunts this world. To start off with things that remain the same, we’ll take a closer look at the basic mechanics of the game. 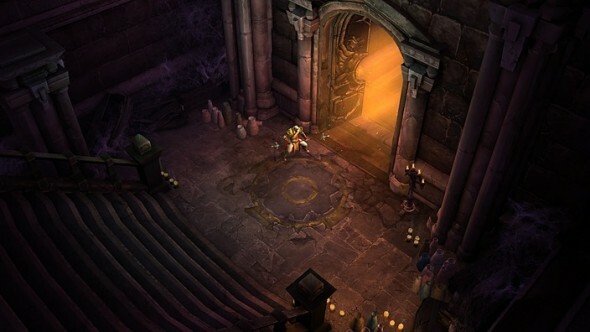 Diablo 3 is a part hack ‘n slash and a part RPG. You’ll spend most of the game ripping monsters limb from limb trying to get to the bosses that run the show. When doing so you’ll be able to level up to 60. Of course leveling up brings a lot of good things like extra stat points, unlocking new skills and the ability to find and wear better gear. The skill system in Diablo 3 is fairly unique. At any given time you’ll be able to use one skill per category of skills that your character has. Each of these skills will be assigned to a button and you’ll pretty much have to stick to a build that is only able to do around six moves at any given time. Of course for those who are getting more skilled in the world of Diablo you’ll be able to turn off the limitation of one skill per category. This will allow you to combine freely the skills you’d love to assign to the limited active skills slots. When doing so this might result in using three skills of the same category whilst on the other hand you’ll eliminate some of the other categories when doing so. Gear is of course an important factor in making progress in the game as well. You will be out hunting for stuff and gathering loot as you go. This brings us at one of the innovations in the console version. 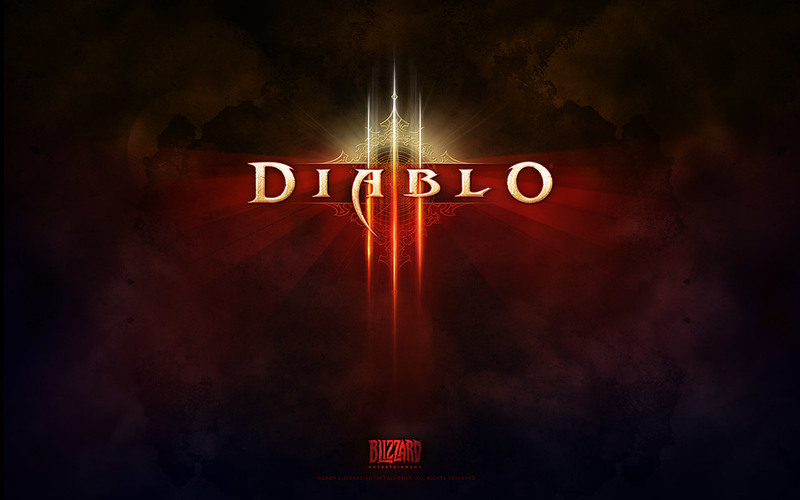 The console version of Diablo 3 makes use of the loot 2.0 system which stands for less ‘crap’ drops and more suitable and powerful loot. For a console version this is certainly a plus when having to sell all your unusable items to the shopkeeper. Accessing menu’s and adjusting skills have certainly been revamped compared to the PC version. When accessing the inventory screen you will make use of something that is compared to the dialing wheel of an antique phone your grandma used to have. This simplifies the use of the menu’s compared to when you’d have to use a cursor to drag stuff around. This also applies for the skill menu which is very accessible with your controller. The difficulty has been altered a bit as well. Some bosses have been toned down with their AOE skills making it easier to dodge their attacks, improving survivability. This combined with the addition of a dodging skill assigned to your right stick makes the game a lot more pleasant. Outside of the normal difficulties which are unlocked after completing the game: normal, nightmare, hell and inferno, we also have another difficulty setting namely easy, normal and hard. These settings will already create a more challenging experience for those who are up to it. Control wise the game does not feel like a mere port to a console, but more as if the game was made for the console all along. Of course the game implements a subtle auto-aim for ranged skills which also enables the smoothness of the gameplay. Each button has its purpose and you’ll be able to customize it the way you want to. 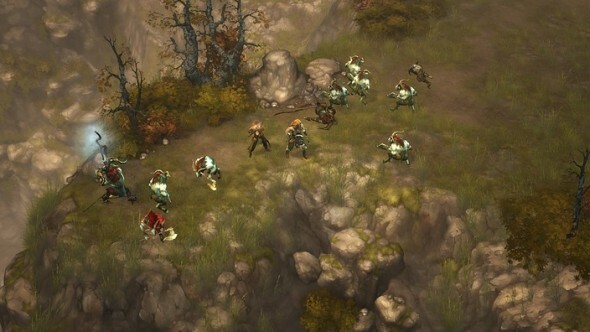 Offline co-op is something that makes Diablo 3 in several ways superior to the PC version of the game. You will be able to play with up to three friends on one screen. This is simply a more fun experience than having to play online all the time. Sadly, the shared screen co-op brings a few limitations along with it. You’ll never be able to go further away from each other than one screen’s length. Also when playing with friends it would be wise to discuss specific break times to arrange skills, equip or sell gear and so on. Each player will spend a considerable amount of time gearing up his or her character and thus having to do this four times in a row will reduce your actual gaming time by a lot. I remember my college roommate used to play the original for hours on end. He was one of those thuggish gang types, but was creeping the dungeons till 3 or 4 in the morning lol. Well I started out with the second one and only tried out the first one several years later. I’ve spent years playing the 2nd one.